Usually when I see gift ideas for moms they are way too fashionable for me, or much more than I'd ever spend on myself, or things I just would never use. One of my most favorite things is my new vacuum I bought myself last year for Christmas for my husband to give me. No kidding. But there HAS to be someone else out there that thinks getting a new vacuum for Christmas is exciting? Maybe? 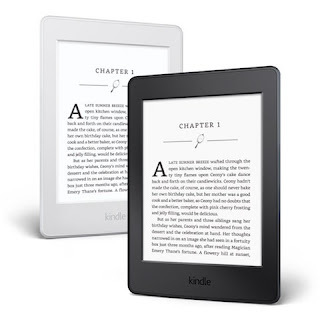 I really tried not to want a Kindle, but my son told me I just HAD to have one and I would love it and he was going to buy one for me anyways because he was just so sure it would be one of my favorite things. And it is! What I love most about it is the ease of reading at night-no head lamp that always runs out of batteries needed, AND since my eyesight has declined rapidly in the last few years, I don't have to hunt for my glasses-I just make that font bigger or smaller. I borrow almost all the books from our library so it's not costly. Here is the case I bought for it. I loved my first Dyson but when it bit the dust (we put that thing through hell) and it came to buy a new one I had sticker shock. Wow, those prices have gone up! So I took my chances, read some reviews and bought something more budget friendly. And I love this vacuum, in fact, I really think it has stronger suction that the Dyson (it puts vacuum lines in my Berber!). All the pieces and parts come apart also, in case a small sock or precious Lego gets vacuumed up or stuck. The cord is nice and long and the attachments are useful. This Vitamix 2-speed Blender is not inexpensive, but I bought it only after going through a couple "cheap" blenders that broke. I LOVE this thing. We use it daily-smoothies, shakes, and my favorite treat ever-banana ice cream, which I eat just about every night. It has excellent reviews on Amazon. Another kitchen appliance that I adore. We use this at least two times a week, maybe more. It is easier and quicker than grilled cheese on the stove top. We make ham and cheese and turkey and cheese mostly. The kids can use this easily also. My oldest daughter wanted to buy a pair of these for me for years and years, and frankly I thought they were overpriced and ugly, and made everyone look like they have Big Foot feet, and also that I'm (a tad;) too old to wear them. And they are expensive and they are sort of ugly and I am too old to wear them, but darn, she was right, I love them. I wear them all winter with everything and don't ever want to take them off. I am always cold in the winter, but these keep my feet warm inside my drafty old house and outside too, and are so comfortable and easy. The new gray ones are so cute too. I don't wear perfume because I am sensitive to fragrance, but I found this lotion in Seaside, Florida a couple years ago and it smells wonderful to me-just like the beach. That is the same bottle I originally bought-I only use a little bit and it's just enough. You can find it here. For daytime, I have sensitive, dry skin and I haven't found anything that works better. It is light enough for under makeup, and strong enough that I use it in the evening too. It doesn't have a strong scent either. I go through about two bottles a year. My face needs moisture, but it doesn't like all the chemicals in the drug store brands. Everything to me smells like a test tube of acid. And NONE of it ever could keep up with dry skin. I found this brand on Etsy and ADORE this stuff. I only put it on at night after I wash my face. It's straight oil, but has never made me break out once. I won't say it took away all my wrinkles, but I will say my wrinkles look a ton better compared to when I was using the really expensive wrinkle creams and acids. (Which I will never use again!) The $18 bottle lasted me almost a year. Elta MD Sunscreen-I started using this WAY too late-like 47 years too late. I tried so many different brands, but either it was once again too chemical smelling and feeling, or just really greasy. I was given a small sample of this and loved it. It has a nice dry feeling to it, and this SPF works great for me, even on burning hot soccer fields. It has excellent reviews on Amazon. My hairdresser used this once on my hair, and the next time I visited she sold me a bottle. Sometimes my hair has a tendency to get sort of fuzzy from highlighting and blow drying. I can't use much conditioner in spite of the tangles, or my hair gets limp. I just use a tiny little drop of this every two days, rub it into the ends of my wet hair before blow drying and then I have smooth soft hair that isn't limp or fuzzy or tangled. Goody Round Brush-I was looking for something to give my hair more body when blow drying (I have fine, thin hair) and this inexpensive brush ($6) does a wonderful job. My hardcover Little House series. When I opened them for Christmas, I read them all cover to cover over Christmas break...which is about the tenth time I've read them, the last being when I was probably in junior high. When read as an adult (and as a mom), I gleamed more wisdom than I ever had as a child. I use this for reading every night. Reading glasses, headlamp, turtleneck and flannel pajama pants. That paints a pretty picture doesn't it? This is a cheap lens ($120) as far as camera lenses go, and takes beautiful photos, especially portraits. It is a fixed lens, which means the lens doesn't zoom in and out, the photographer has to move in and out. It's nice and light. 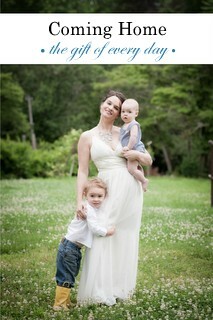 It allows me to take natural light photos in low light-inside-which comes in handy in the winter months. I love scented candles, and we have a Yankee Candle by our house, so often if I am lucky to find an hour to myself, I hit the bookstore, and then treat myself to a candle. They have great coupons if you sign up on the email list. When the kids ask me what I want for my birthday or Christmas I send them to pick out a candle. I love having the house smell nice and not like bacon or wet soccer cleats. I bought this print from a cute Etsy shop and it sits next to my sink so I see it every morning. She has many beautiful sayings and I love the simple artwork. I still use a wall calendar (I just can't transition to technology) and I have been buying Susan Branch for years. I can always count on this under the tree and then love spending time filling it out over Christmas break. It seems like I just bought this one yesterday, 2015 went so quickly! 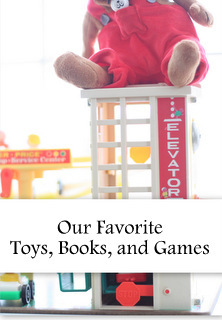 Our Favorite Toys, Books and Games where I list our favorite most-played with quality toys from the last twenty-one years of gift giving. I asked for a vacuum cleaner for Christmas this year...you are not alone! I find these kind of posts so helpful. 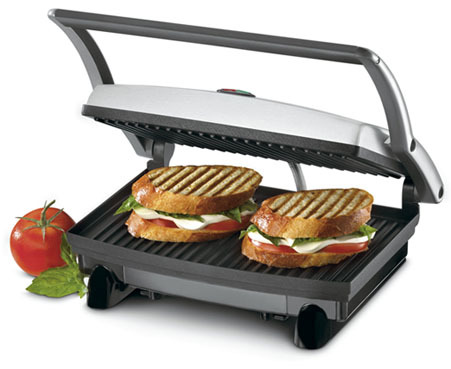 Last year I got a panini press for Christmas after putting it on my wishlist from reading your post. We love it--use it nearly every day. I always love your favorite things. 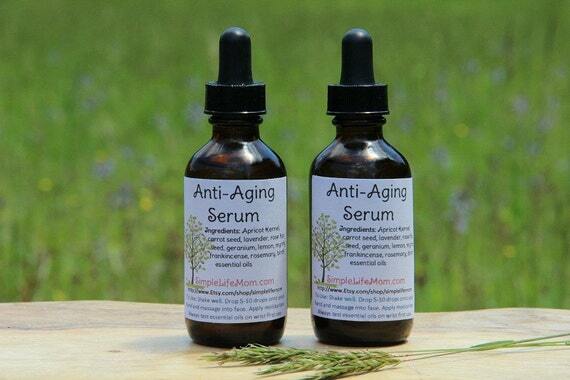 I bought the anti aging oil from Etsy last year after I saw it here. I totally love it. Just bought my daughter a bottle for Christmas this year. Along those same lines, I splurged and bought this black bar of soap from Ernie Lazlo. With the oil and that bar of soap my skin looks great at 57. They are my two favorite things. I will remember the vacuum cleaner as I love a good vacuum. I also transitioned to a Shark Navigator Lift Away last year....considered a Dyson so borrowed my neighbor's...hated it! LOVE my Navigator (also have the steam mop) so much that I bought daughter and DIL one each for Christmas last year. Don't know what I'd do without my Kindle....I'm on my 4th one and my 97 year old mom reads hers all the time. She shares my Amazon account with me and between us we have about 300 books downloaded! I went thru all my paperback books recently and donated them to my local library as (1) it's hard for me to read the print anymore and (2) I read exclusively from my Kindle. I need to try that anti aging oil. Thanks for the suggestion! Yay Sarah! This is my favorite post of the year with the Toys, Books and Games coming in a close second. I too LOVED the vacuum I got for Christmas one year, but my most recent is the Shark you suggested. Thank you! Best vacuum I have ever owned and it gets daily use. 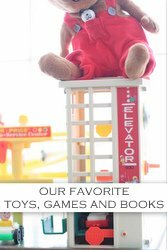 I have used so many of the recommendations for Toys, Books and Games for my own children and nieces and nephews and they have all loved them! Thank you so much for sharing and especially taking the time to include links, I know that is time consuming. Thank you for all of your advice over the years! Haha!! I literally laughed out loud at your comment about painting a pretty picture with your reading glasses, headlamp and flannels. Thank you! At some point you should try the Skechers boots, also. I bought them off of Amazon for about $40. They are so comfortable. I broke some toes a year and a half ago and my toes still hurt. I buy my Skechers a half size up and they don't hurt my toes at all. Skechers and flip flops are all I can wear now. I love that anti-aging serum! I bought some on your last recommendation-I love how it makes my 51 year old skin look at bedtime. The smell is lovely too. I bought the anti-aging oil after your recommendation last year and now I use it every night. It is perfect for my combination skin in the winter to stop it drying out due to central air, but doesn't make me break out. I'll never go back to a traditional night time moisturizer!